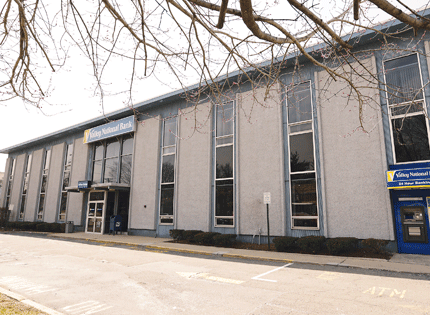 A look at the history of bank architecture in N.J.
You’ve probably passed by thousands of them. Once Kim Bunn serves you the involved history of bank buildings, these facilities no longer blend together in one run-of-the-mill visual soup. 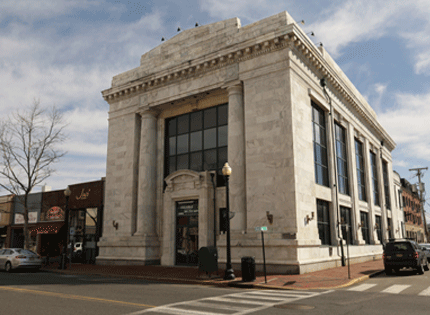 Bunn, the American Institute of Architects New Jersey chapter president and registered architect, has done quite a bit of historic research and preservation work on local banking facilities. She even co-authored a book on it. And, according to her, there’s a dynamic political and social narrative behind each bank building that’s worth paying attention to. 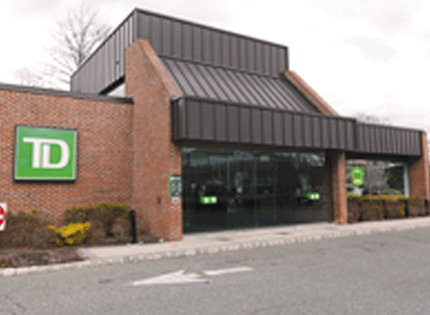 NJBIZ spoke with Bunn about the history of bank architecture in the region and compiled what she said with some examples in this brief photo essay. Late 1800s (sturdy style): The earliest banks in the Garden State — one of the states in which the country’s early banks were concentrated — were built with heavier masonry material and small windows. Every aspect of the architecture was meant to convey a feeling of security. People had to trust that their hard-earned money would be protected, since it was a time before federal regulations and guarantees. Notorious criminals were getting their start in the late 1800s by robbing New Jersey banks, so security was necessary to the design. Most banks from this time have been renovated, but some retain the same sturdy look. Pre-Depression (ritzy style): Following a banking boom in the 1920s, combined with the flourishing of local industry, New Jersey became a hotbed of banking institutions. Because this boom arrived at a time of a large national disparity between socioeconomic classes, many of the banks that were being built during this time were meant to appeal to the wealthy. As an extension of the wealth of its clientele, banks were being constructed with expensive materials such as marble and limestone. And the neo-classical architecture style (Greek columns, ornate carvings) was adopted to attract affluent businessmen. Post-Depression (easy style): By the 1950s, there was a complete scaling back in elaborate design; bank architecture became a matter of reaching the common person. This is represented in the less intricate, but more customer service-oriented design that is often seen in banks constructed in the era following the Depression. The typical suburban bank branch that people are familiar with today became massively important as banks stopped focusing solely on downtown hubs. The drive-thru was incorporated into branches for the first time, a staple in constructing modern banks. Everything about these buildings promoted convenience for customers. Contemporary (transparent style): In the age of bank bailouts and everything else, people are looking more for the feeling of transparency and accountability than they are the security that was sought for the state’s first banks. The new millennium bank looks to incorporate that high-transparency marketing mantra into facilities by removing closed-off architectural features.